Calreticulin (CRT) is a pleiotropic and highly conserved molecule that is mainly localized in the endoplasmic reticulum. Recently, CRT has gained special interest for its functions outside the endoplasmic reticulum where it has immunomodulatory properties. CRT translocation to the cell membrane serves as an “eat me” signal and promotes efferocytosis of apoptotic cells and cancer cell removal with completely opposite outcomes. Efferocytosis results in a silenced immune response and homeostasis, while removal of dying cancer cells brought about by anthracycline treatment, ionizing-irradiation or photodynamic therapy results in immunogenic cell death with activation of the innate and adaptive immune responses. In addition, CRT impacts phagocyte activation and cytokine production. The effects of CRT on cytokine production depend on its conformation, species specificity, degree of oligomerization and/or glycosylation, as well as its cellular localization and the molecular partners involved. The controversial roles of CRT in cancer progression and the possible role of the CALR gene mutations in myeloproliferative neoplasms are also addressed. 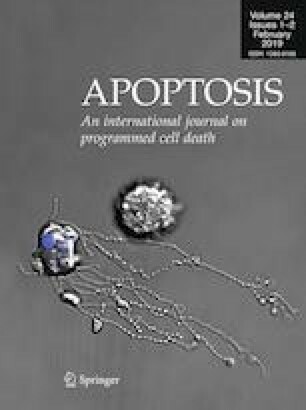 The release of CRT and its influence on the different cells involved during efferocytosis and immunogenic cell death points to additional roles of CRT besides merely acting as an “eat me” signal during apoptosis. Understanding the contribution of CRT in physiological and pathological processes could give us some insight into the potential of CRT as a therapeutic target. Schcolnik-Cabrera Alejandro and Oldak Bernardo contributed equally to the present work. This study received funding from the Department of Microbiology and Parasitology of the Faculty of Medicine at the Universidad Nacional Autonóma de Mexico (UNAM).